It’s the perfect spring and summer breakfast: oats, Greek yogurt and fresh fruit combine to create a delicious nutritional powerhouse that will keep your taste buds happy and give you energy for hours. The best part? 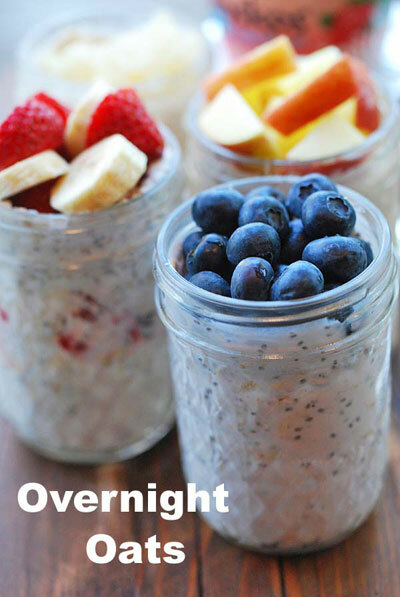 Overnight oats are ridiculously easy to make. No cooking required! Simply mix your basic ingredients, add your add-ins, refrigerate overnight and enjoy in the morning. The oats will absorb the liquids and their flavors, will soften and become super delicious come morning! The basic ingredients for a single serving are simple, and you should keep this ratio for any flavor combination: 1 single-serve container VOSKOS, 1/4 cup dry old-fashioned oats, 2 tablespoons milk, and 1 teaspoon chia seeds. We’re adding chia seeds not because of their flavor – they are basically flavorless – but because they are rich in Omega-3 fatty acids, fiber and antioxidants. 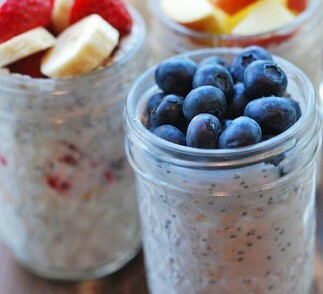 Adding chia seeds to your overnight oats is an easy way to supercharge your breakfast. 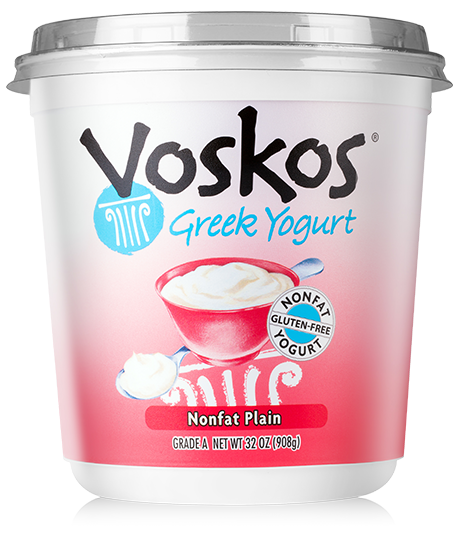 Use any VOSKOS flavor you like, and get creative with your flavor combinations, add-ins and toppings! 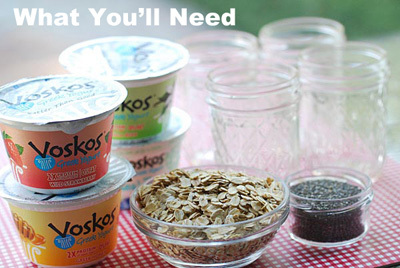 Over the next few weeks, we’ll offer several tasty overnight oats recipes you could try, but don’t be afraid to create your own yummy flavor combinations, and if you create something especially yummy, let us know about it: social (at) voskos.com. We just might publish it on our blog! 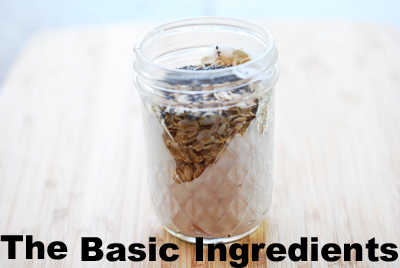 In a 8oz mason jar or a comparable container, add your basic ingredients: VOSKOS, oats, milk and chia seeds. Stir well. Now add your add-ins - fresh fruit, applesauce, cinnamon, honey, jam and maple all work well. Gently stir to combine. Add your toppings: fresh fruit and/or nuts are excellent. The next morning, briefly microwave - just 20 seconds or so, and enjoy!